Once established on the beach, a task which is accomplished without any difficulty, the squad must figure out their next step. They eventually decide to go inland and head for a farmhouse that seems a likely stronghold for Axis forces. The confusion in the ranks, combined with very little structure or chain of command, makes the squad seem remarkably unrealistic. One possible explanation is that they were a part of the Texas National Guard and unaccustomed to fighting in Europe, but even this negates the great deal of dialogue in which they talk about the endless war and all the battles they have previously fought. 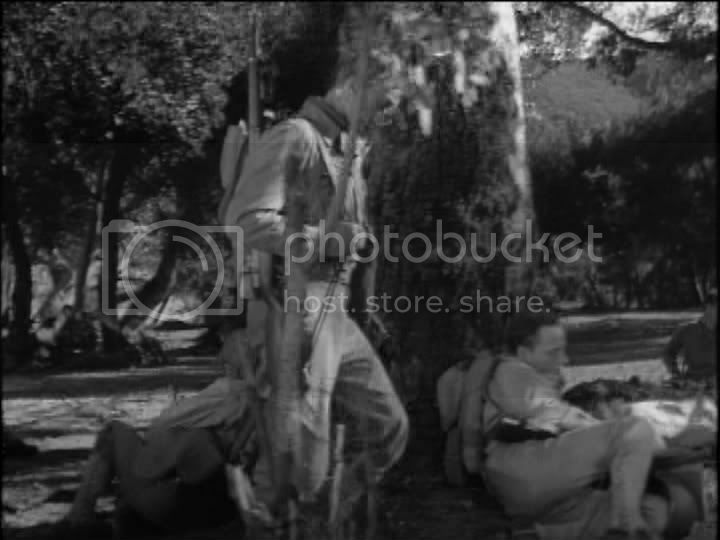 The middle section of the movie involves the squad walking inland, occasionally stopping to chat or hide from enemy airplanes. The men talk about a variety of topics, including the next war (because war is endless, and the next battle will likely be Tibet), dirt, their lives back home, and traveling salesmen. Much of the dialogue is snappily delivered, as befits a production from the mid-1940’s, but almost none of it is interesting. The characters are nearly indistinguishable until later in the film, and their credibility is hampered by having to speak as though orally bound by the Production Code. Their profanity and angry tirades seem juvenile and unbefitting soldiers under extreme duress. Granted, this is not Milestone’s fault, but as an unfortunate side effect of the industry’s self-censorship it does hamper the picture’s effectiveness. Milestone has a number of themes and motifs woven throughout the film. The power of a dangling human hand, used so strikingly in All Quiet on the Western Front, is utilized in A Walk in the Sun with no end. The first couple of shots with a silhouetted hand are fascinating, but when the motif reoccurs every ten minutes it becomes rapidly overused and less effective. Likewise, Milestone seems to have an interest in the dirt the soldiers walk over and rely on for cover. They talk about it incessantly, and it is an interesting device for exploring various issues the soldiers face, but it, too, is an obvious and overused device. A number of expository monologues also smack of archaic narrative devices, unnecessarily didactic and less effective than using images or character’s actions to explore the same themes. As the group walks inland, there are a number of musical interludes interspersed with their perambulation. The song opens the film, after a strange opening credit sequence in which the characters are alive in the pages of a book. Odder still is that some of the lyrics are given onscreen; whether to elucidate the words or fill time is unclear. But in spite of these complaints, the film has a far bigger problem. Almost nothing happens in the entire movie, and the characters and dialogue are not interesting enough to hold an audience’s attention for nearly two hours. 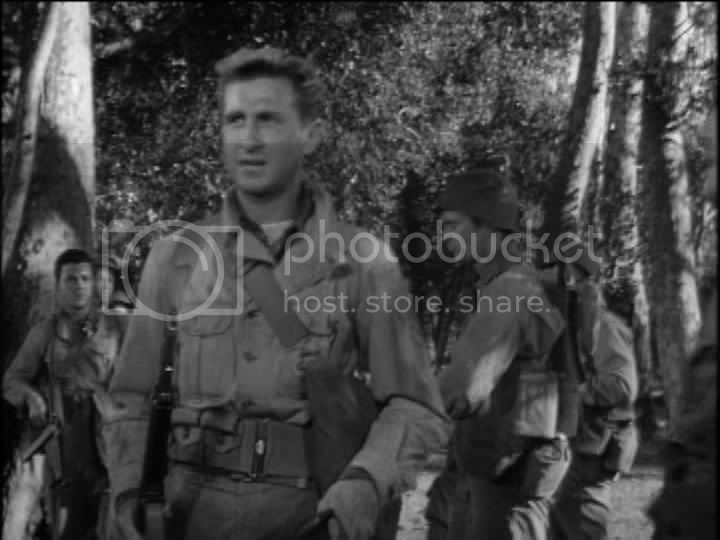 Some of the characters are a bit strong than others, and the cast is mildly engaging (with Dana Andrews, a young and serious Lloyd Bridges, and Sterling Holloway, whose voice is instantly recognizable as Kaa the Snake from Disney’s The Jungle Book). However, until the final twenty minutes almost nothing happens. 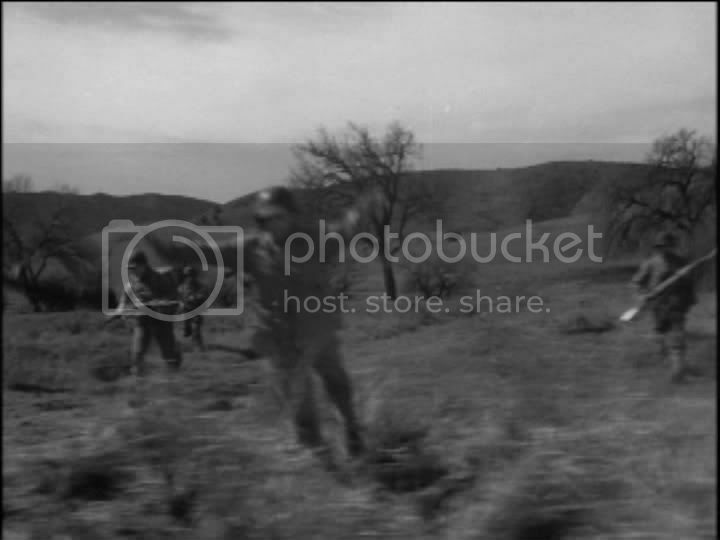 Skirmishes are shown as puffs of smoke and people hiding, with stock footage of aerial battles cut in to indicate battles in the sky. An incident with an armored car and the final attack on the farmhouse are more rousing, but rarely emotionally involving. I almost wonder if there was a lack of available ordinance for Milestone to use in filming, as the war was either still being fought or just winding down as the movie was filmed. 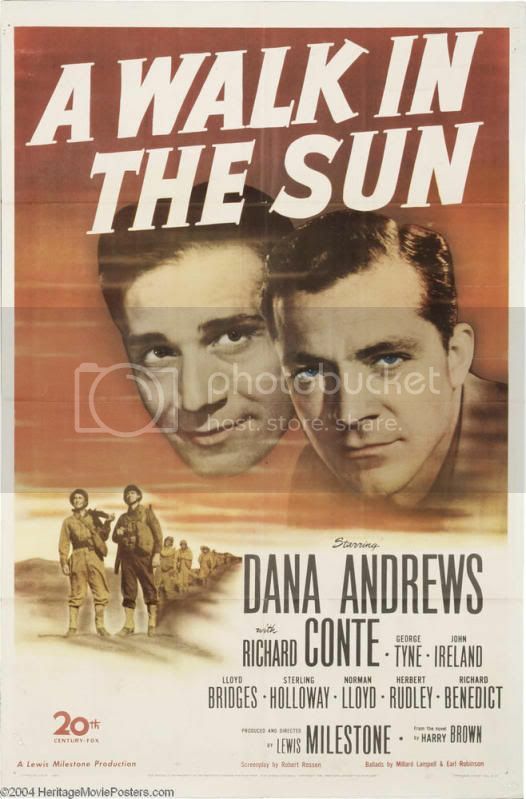 Despite a few interesting themes, most of which are painfully obvious and forced, A Walk in the Sun offers little to fans of war films. 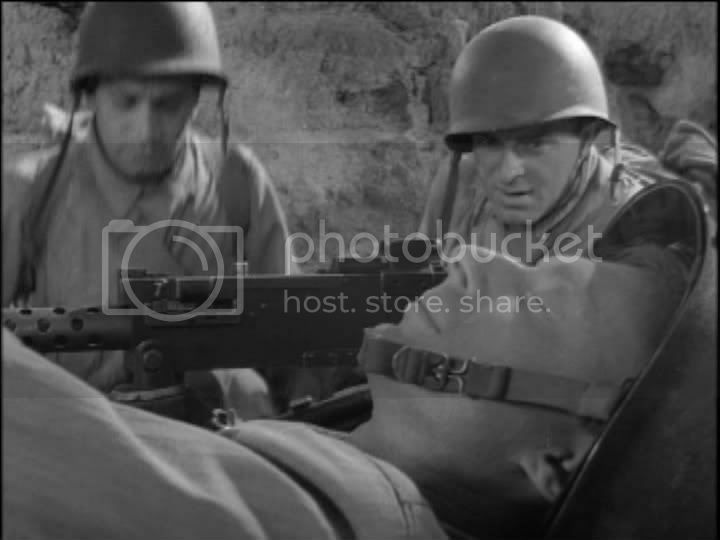 It is rather apolitical, and sends few messages beyond “war takes a toll on individual soldiers.” Its biggest faults involve a lack of a story or engaging sequences, censored writing that negates any attempts at realistic soldier dialogue, and a generally lackadaisical approach to the few battle sequences.